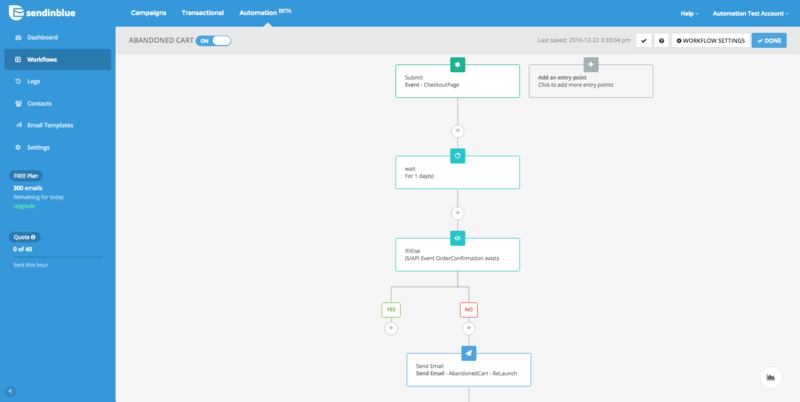 SendinBlue's marketing automation tool enables you to easily create workflows and customize them to suit your specific requirements. In this tutorial we will review a workflow that enables you to follow-up with leads that have abandoned their shopping cart. This workflow is triggered by an event on your website, such as the adding of several items to a shopping cart or a visit on your checkout page. You will specify a period of time to wait, and then the workflow will check to see if an event such as "Order confirmation" has occurred. If an order has not been confirmed, you can follow-up with your lead by sending a specific email. Here we are going to see how to create a workflow using the Abandoned cart template. 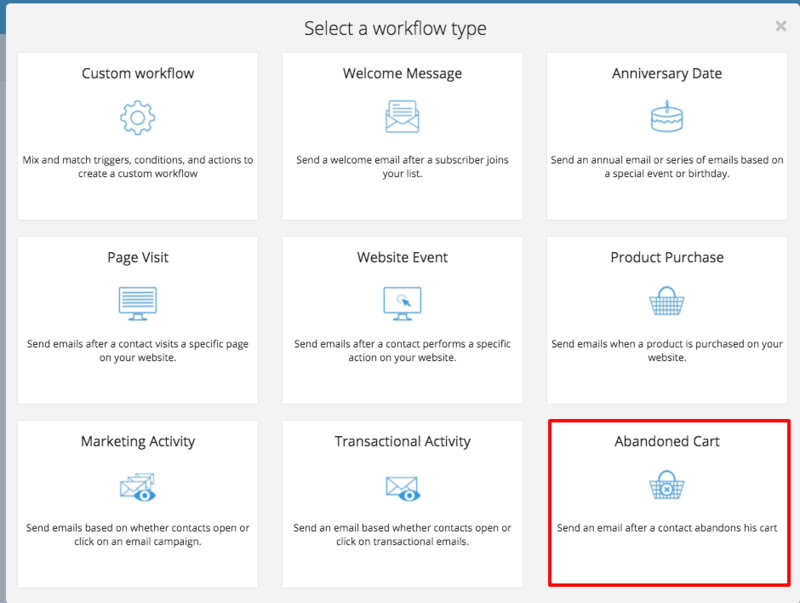 Click on "Create a new workflow" in the Workflows tab, then select the "Abandoned Cart" template. Every workflow has a defined "entry point", which is the action taken by your contact to begin the workflow. In this case, the entry point is the start of an "event" on your website. As soon as the event occurs (e.g. : CheckOutPage), the contact enters the workflow. Therefore, you need to define and create this event in advance. In the next step, you will add a period of time to wait before checking if an order has been placed. A delay of 24 hours allows reasonable time for the contact to return to your website and complete their purchase. To avoid targeting contacts who have already completed an order, we will use an "if/else condition" to identify and target only contacts who have not completed an order after the specified time delay. 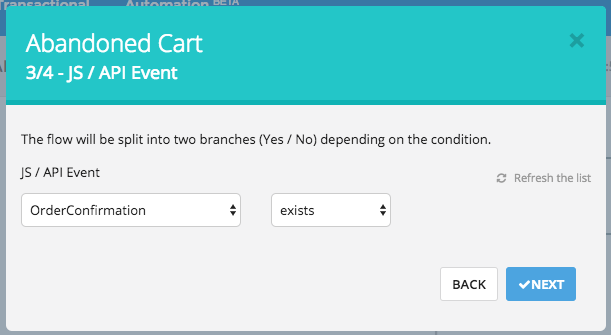 For example, this if/else condition will check if the "Order confirmation" event has occurred. If the condition has not been fulfilled and no "Order confirmation" is present, the workflow enables you to send a follow-up email. 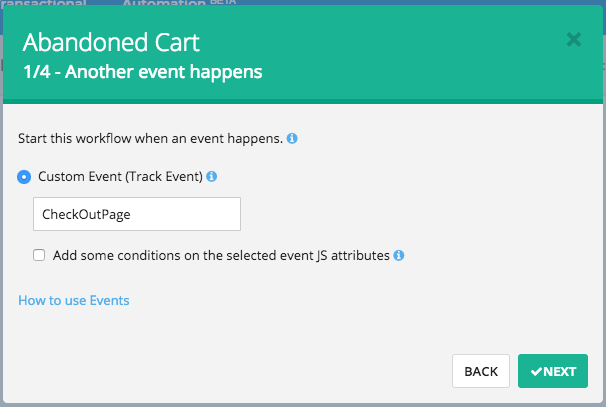 Similarly, as with the first "CheckOutPage" event, you need to define and create this event in advance. Before moving to the next step, you will need to create the follow-up email template. To create an email template, navigate to SendinBlue Campaigns > My Campaigns > "SMTP Templates". Here you can create a new email template using our Responsive Design Builder. In a hurry? Consider starting with one our pre-designed templates, which are available within the Responsive Design Builder. Tip: Don't forget to click on the "Save & Activate" button to activate your email. 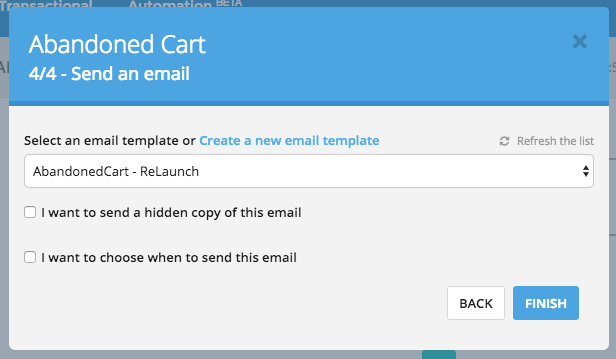 Now you can return to your workflow and select your email template from the dropdown list. Complete your workflow by clicking on the "Finish" button. Your workflow will be automatically activated and you should be able to view the workflow editor. Any new leads that abandon a shopping cart will then enter into your Abandoned Cart workflow.